You can rely on Ocean Petals Florist to hand-deliver fresh flowers and plants to all the major suburbs, hospitals, churches, funeral homes, and nursing homes in the Ocean Shores, NSW area. 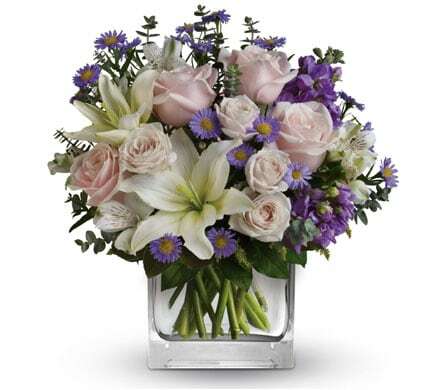 We can send your flowers same-day delivery and next-day delivery to Ocean Shores and surrounding areas. 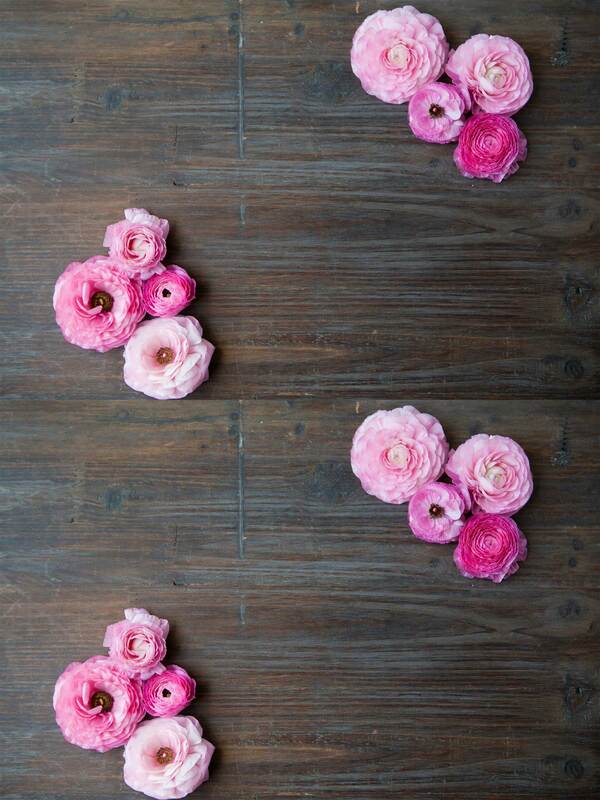 Select Designer's Choice for our freshest flowers, hand-arranged by Ocean Petals Florist. Please let us know if you have a special request for any of delivery areas we service. Do You Need to Find a Nearby Ocean Shores, NSW Florist? Situated in Ocean Shores, our florist offers an array of services to make your floral plans run as smoothly as possible. One of the most popular features of our store is same-day delivery to most of the major public locations in the area. As well as delivering to private residences, we also service institutions like hospitals and other specialty medical centres, retirement homes and rehabilitation centres, churches, cemeteries and nursing homes for your convenience. 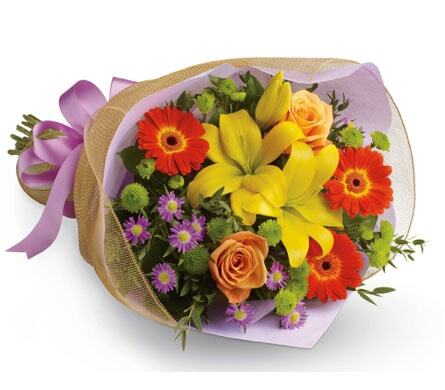 We can also bring flowers to locations beyond the borders of Ocean Shores, including areas like Byron Bay, Bangalow, Robina, Southport, Elanora and Dunoon. The local hospitals and medical centres that we service include locations such as Bungalow Medical Centre, Pindara Private Hospital, Robina Hospital, Allamanda Private Hospital and John Flynn Private Hospital. We also service a number of aged-care and assisted-living communities around the Ocean Shores area, including institutions like Feros Village Byron Bay, Mudgeeraba Nursing Centre, Bupa Pottsville Beach, St. Joseph�s Nursing Home and BCS Maranoa Centre & Retirement Village. The churches that we service in the area vary in denomination. They include Bray Park Seventh Day Adventist Church, Bangalow Presbyterian Church, St. Oswald�s Anglican Church, St. Matthew�s Anglican Church and Catholic Church Diocese of Lismore. Some of the cemeteries and funeral homes that we service include Murwillumbah Catholic Cemetery, Heritage Brothers Funeral Services, White Dove Funerals, Tweed Heads Central Cemetery and Allambe Memorial Park. Sunny yellow flowers are the ultimate remedy when someone is feeling down. Whether you need to cheer up a friend or help a loved one in their recovery from illness, our array of golden blooms is sure to get the positive vibes rolling. It�s impossible not to smile when you look at our �Golden Laughter� box. This display features a mixture of buttery roses contrasted with elegant white lilies, and will warm the heart with its magic. 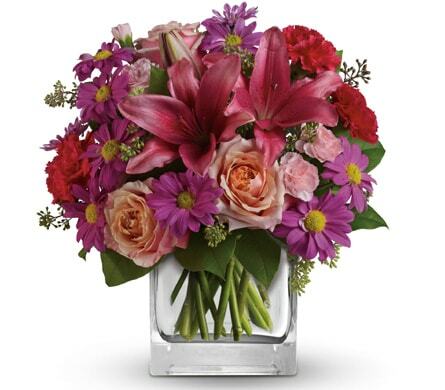 Look no further than this arrangement when you�re looking to help a friend through a hard time. The town of Ocean Shores is located in what�s known as New South Wales� Northern Rivers Region. The idyllic town sits around 20 kilometres away from the tourist hotspot of Byron Bay, and its nearest major city is Brisbane, which is 147 kilometres away. There are several opportunities for shopping in Ocean Shores, which is home to both large shopping complexes boasting endless retail chains, and charming farmers� markets. The Local New Brighton Farmers� Market is held weekly on Tuesday morning, opening at eight o�clock, and offers fresh, seasonal produce.